← sarah silverman and a flea. Today is Monday, December 5, 2011. I am typing this out because, then maybe I’ll believe it, and figure out where the November blur went. Seriously. 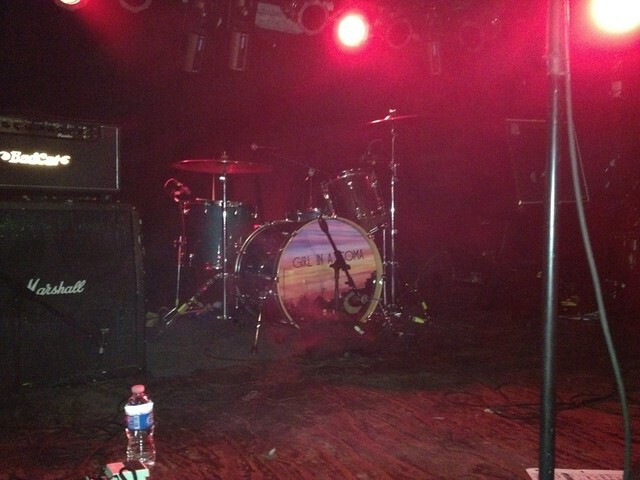 Did I even blog about going to see Girl in a Coma at Webster Hall? I met Phanie Diaz before the show, apparently she likes to watch the crowd before they get to watch her. The show was amazing by the way, I’m pretty sure Nina’s crazy eyes pierced me. Joan Jet stopped by to check on her protégés and getting a little taste of San Antonio while in New York is always good. 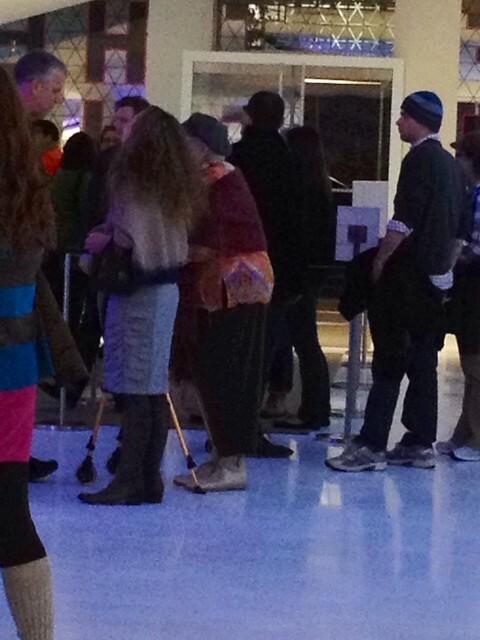 This is the best picture I could get once I realized that it was Jane Henson. Oh and we got to see The Muppets a week before it opened in theaters thanks to my favorite Museum in Astoria, the MOMI, of course. Jim Henson’s wife, Jane and their daughter were both in attendance to honor his legacy. Jane looked a little like a Fraggle. The movie was muppetastic. Thanksgiving kinda snuck up on me but there as turkey and football and leftovers. I vaguely recall making a cherry pie, whose remains may or may not still be tucked all the way in the back of my fridge, eek. 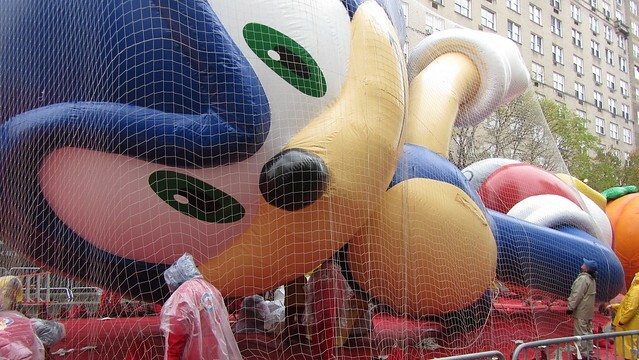 We went out to see the Macy’s Thanksgiving Parade balloons the day before the parade which was on my list of things to do from last year. Those were great. Holiday lights and window decor are going up all around me and yet I remain shocked at the date. I’ve been a little buried in reading at work lately that writing hasn’t really come into play but I’ll update this week with Rockettes, Polar Bears, and everyone’s favorite: holiday markets! This entry was posted in everything i've blogged, observations and tagged Astoria, Macy's Thanksgiving Day Parade, manhattan, museum, Queens, theater. Bookmark the permalink.